Say thank you or send a kind word with a pop of color and style. 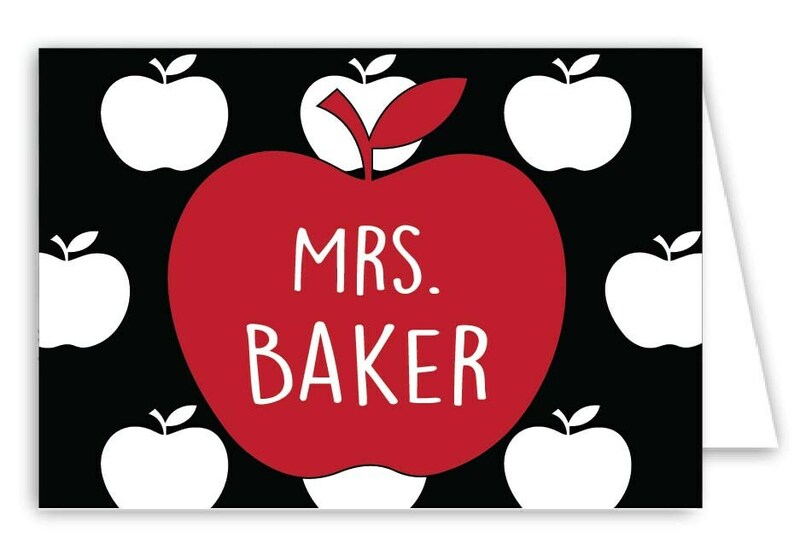 These custom Teacher Folded Note Cards can be printed with a monogram (aSr), Name (Jennifer Smith), family name (The Smiths), or whatever you choose. You can also choose the colors you would like for the design and personalized info. Please include this information in the note section with your order.